Gone are the days when travelers were either 100% cruisers or 100% not. The cruise industry is constantly evolving, and today cruise lines offer itineraries and experiences that appeal to travelers of all ages and interests. We’ve rounded up six ways cruises are changing it up and, as a result, are making cruising more popular than ever! 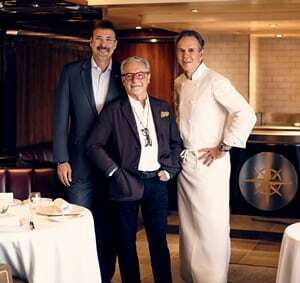 Seabourn President Rick Meadows with Adam Tihany (center) and Thomas Keller (right). Forget massive all-you-can-eat buffets of subpar food. Cruise lines are taking the on-board dining experience to new levels with collaborations with top chefs. Seabourn has a partnership with Thomas Keller (as in the chef of one of the world’s most elite restaurants, French Laundry) and every year the onboard culinary team does a week-long training with him in his California restaurant. And Crystal’s Symphony and Serenity are home to chef Nobu’s only sea-going restaurant, Umi Uma. A cruise can truly be a learning experience thanks to the many enrichment opportunities cruise lines offer. When you journey with Lindblad Expeditions, you can learn from their exceptional guides, including National Geographic photographers. Talk about some Instagram-worthy photos! Holland America has a partnership with America’s Test Kitchen, and guests can experience a live cooking demonstration and even learn from the pros during a hands-on workshop. If you imagine being trapped on a massive ship with thousands of other people when you think of cruising, think again. 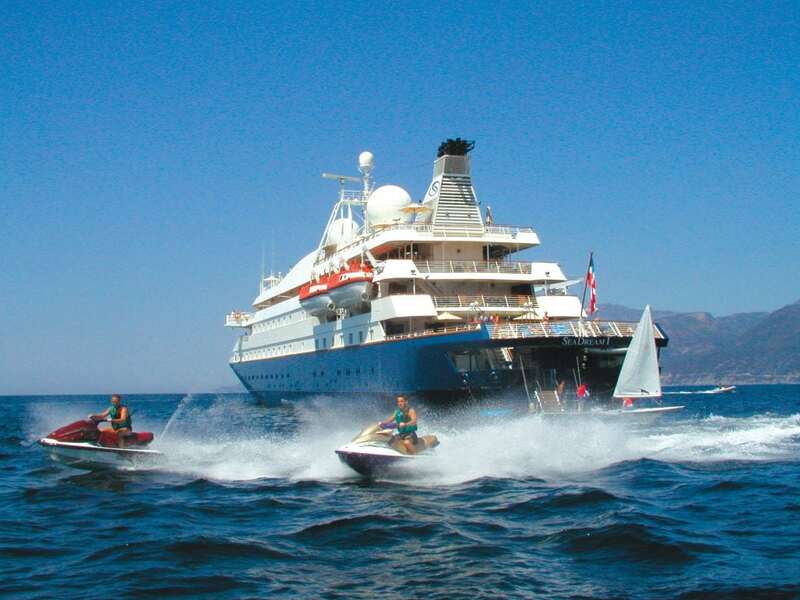 Cruise lines like SeaDream Yacht Club have small vessels with only 112 passengers, so you’ll feel more like you’re on a private yacht than a mega cruise. Crystal also has a luxurious 62-passenger yacht and the Ritz-Carlton Yacht Collection will launch in 2020! Still too big? Belmond has you covered. They have seven luxurious barges that hold no more than 12 passengers (some only hold 4!) in France. The watersports marina on a SeaDream Yacht Club ship. There are so many types of cruising that just about every type of traveler can find one that fits their interests. For adventure lovers, Lindblad Expeditions, Abercrombie & Kent, and UnCruise Adventures take travelers to exciting destinations like the Galapagos and the South Pacific, and you can learn all about the destinations from their expert guides. If you want to delve deep into local culture, river cruises take you right into the city center of some of Europe’s most charming cities and towns. 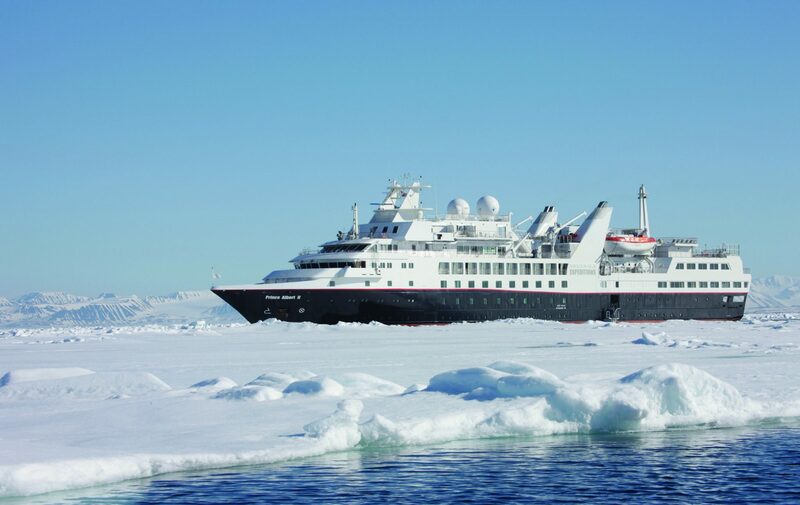 And if you want an expedition experience without sacrificing luxury, Silversea Expeditions and Ventures by Seabourn bring together the best of both worlds. 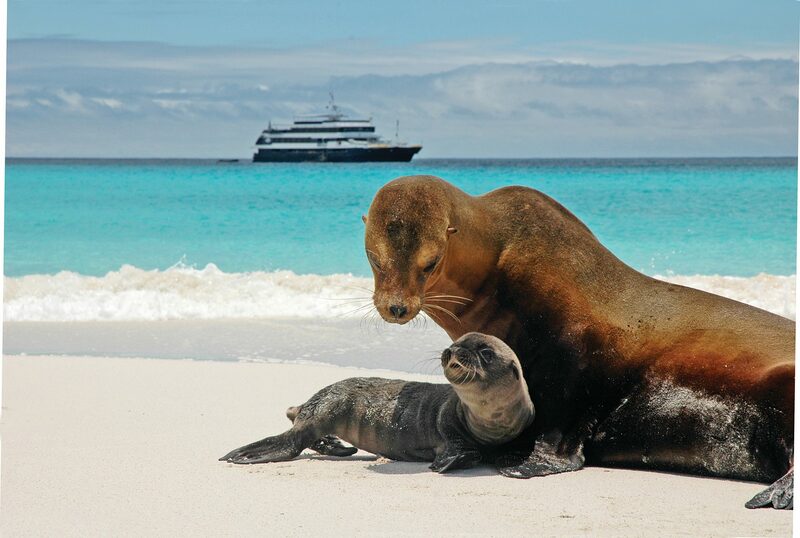 Sea lion and pup in Galapagos Islands during an expedition with Lindblad. Just because you’re on a cruise, doesn’t mean you don’t get to really experience each destination. Many cruise lines offer longer times in port and overnight stays. Azamara Club Cruises often stay in port until at least 8PM (and often overnights in port) , so you can take your time exploring and even enjoy dinner or cocktails on land. If you want to explore exotic lands and far-off destinations, you can do it with the ease of cruising (hello unpacking only once!). We’re talking Antarctica, Southeast Asia, the South Pacific, and other far-flung destinations. Cruise lines are thinking out-of-the-box when it comes to itineraries, and we are loving the variety of destinations from lines across the board! Click here to find an advisor and start planning your next cruise!